Now available digitally in America for the first time! 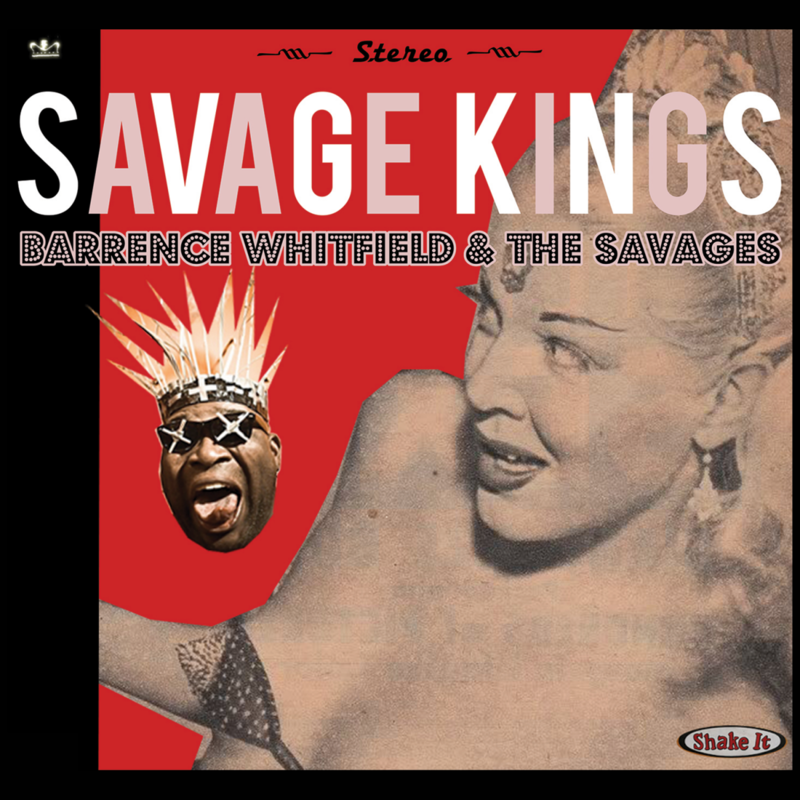 Barrence Whitfield and the Savages' 2010 comeback album originally released on Munster Records in Spain, it's been repressed on Shake It Records! The precursor to their back-to-back Bloodshot masterpieces. The core Savages lineup of Whitfield/Greenberg/Lenker reunited for a full-bore rhythm & blues fueled, roc-n-roll stomp. Savage Kings returns to the Savages' heyday of their debut & Dig Yourself sound of an all-nite blowout that you will pay severely for the next morning.... and isn't that the way it should be??? Rave-up covers mixed with originals combine to serve up the return of the classic lineup that may very well out deliver the goods than those initial LPs... which says alot. Among the well-curated and over-amped covers is a headbanging version of Ted Taylor's "(Love Is Like A) Ramblin' Rose" (perhaps you remember the MC5's version?) that'll peel the paint offa your house. There's also Lightnin' Slim's "Its Mighty Crazy," Johnny Sayles' "You Told A Lie," the jump blues of Waymon Brown's "Barefoot Susie" and several other treats. Get DOWN with the Savage SOUND on this comeback album for the ages. There’s nothing noble or gentlemanly about the music. This is the raw stuff from which forms the matrix from which bar bands and garage rock meet. Who's Gonna Rock My Baby?